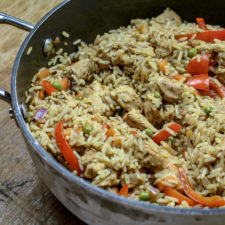 Cajun Chicken Jambalaya Recipe: Oh Wow, This Recipe Is EPIC!! 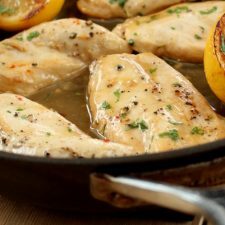 This is an absolute winner of a recipe that is one of the most downloaded recipes from our website! 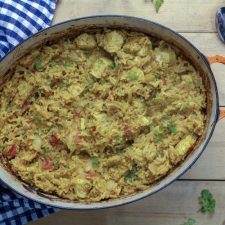 Cajun Chicken Jambalaya is a spicy, high protein, gluten free dish that you will love. 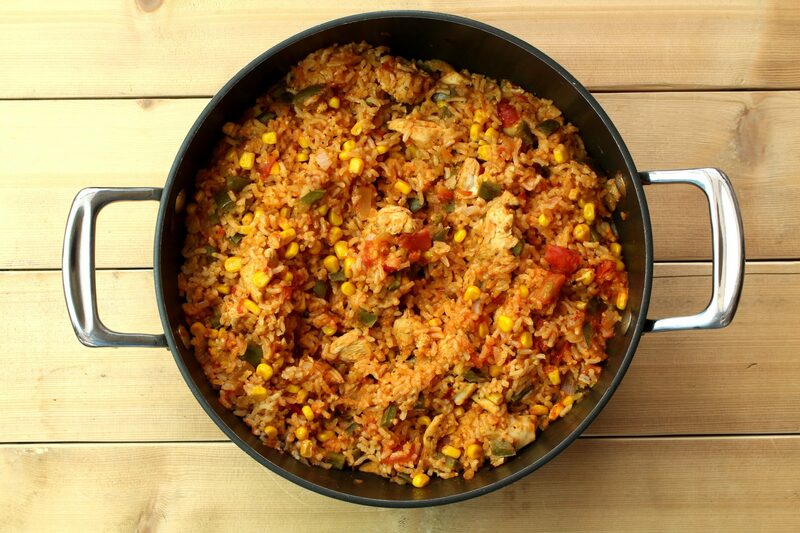 Jambalaya originates from Louisiana and the name means 'mixed up' in French. That's the beauty of this recipe, you can throw anything into it; different vegetables, you can swap the chicken for other meats and change the spices around too. If you're not a huge spicy-food fan, you can make a great Italian style jambalaya recipe using some mixed herbs, a little balsamic vinegar and maybe swapping the sweetcorn for some courgettes, you really have so much freedom with this high protein recipe. We've also got a recipe for One-Pot Chicken Enchilada Rice which is quite similar to this one but has chorizo, beans and a cheesy topping. Once you've cooked this jambalaya, you might want to give it a go too? 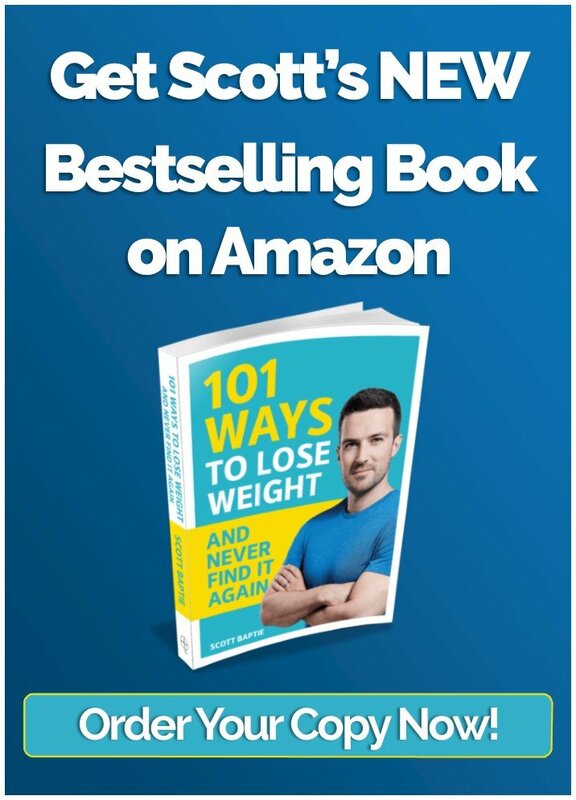 BONUS: Download a free recipe book with 10 delicious high protein recipes that you won't find on the website! Heat a large pan on the hob on a medium heat and add the coconut oil. Add the onions and peppers and gently fry for 5 minutes . Once they're ready, add in the crushed garlic and fry for another minute. Add the chicken, Cajun spice and chili flakes and cook for a few more minutes until the chicken is lightly browned. Add the uncooked rice, chopped tomatoes, stock, black pepper and sweetcorn to the pan and give everything a good mix through. Reduce the heat down to low, cover and simmer for 30- 40 minutes until the majority of the liquid has been absorbed and the rice is cooked though.